Aberdeenshire leaving me & my father on the bridge. 15 minutes later" WAR WAS DECLARED". 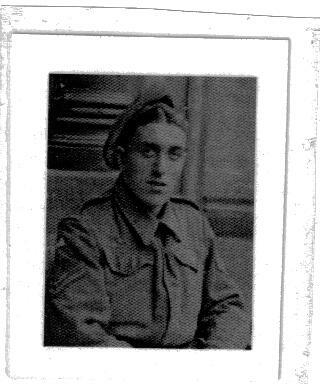 I went home to work in the foundry and my father went to work at Rolls Royce Hillington. 50 YEARS LATER I RETURNED TO THAT SAME BRIDGE WITH ALL MY FAMILY. What a beautiful tribute to your grandfather Tommy Walker. He must have been a very thoughtful man to congregate all of his family on that spot on 50th. anniversary of W.W.2 Bless you. for weeks before the photo was taken he went round the family to arrange it. In the photo was his 2 sons,son in law,grandsons and greatgrandsons as well as hiself. though he was a year younger than he should have been. I read of your evacuation and was very interested in your memories. When did the children get to return to Glasgow? Were they gone for the entire six year period? Thanks. I would be interested to know if you all had to go, or did your parents even have a choice. That's also one of the questions I was wondering about, Isobel. I was born in Glasgow also but after the war. I have often wondered how long the children were gone and what their thoughts were on returning to their families. The war seemed about 6 years, don't know if they were gone all, part, or longer than that time period. I would be most interested in learning more. Thanks for answering, Stratson. That's what I was wondering. It must have been hard in a way to come home again after living somewhere else for so long. Especially the children who were evacuated to the country. It would be lovely to see your family again but if you were with a good family, I suppose the children would have missed them also. My name is Danny Harris. I was evacuated to Canada during World War II. I will be 82 on the 1st of September tihs year. While I was contributing to another topic on the GG Board, Betsy and Cat suggested that I should write about my experiences during my time in Canada. I have thought long and hard about it, and I have decided that if i am going to write about it, then it has to be about more than me. It has to be about some of the people I met along the way and also about what life was like for other people during the War. Before I start, my thanks to Big Tommy for starting this topic. I have a lot in common with him. I lived in the same area of Glasgow as he did. and I went to a nearby school, Oakbank School. My thanks also to Dugald who also contributed to this topic in 2005. This will be an endurance test for some of you, and I know that only a few will go the distance! I will write the story in episodes because it would teke to long to do it all in one go. My 8th birthday was on the 1st of September 1939. War broke out two days later. Was it something I said? Everything changed overnight. Suddenly I had a gas mask. I was shipped off to outer space with my mother and my 2 year old brother, to a farm near Stirling. This only lasted for a few days as my mother was in a state of distress and my Dad took us back home. The the three of us went to a large house in Dunblane. The lady who owned the house was (to me) an elderly widow. Coming from a room and kitchen, albeit with an inside toilet (this was luxury by the way) in Garscube Road, Glasgow, we had arrived in heaven. Not only was it a large house, but it had fruit trees. WOW! My happines was short lived. For reasons which I have never found out, we went home to Glasgow. One day out of the blue my mother told me that I was going to Canada to live with her sister (my Aunt Annie) to live in a big house with a big garden and a big dog. "Yippee" I was going to live like I had in Dunblane! So shortly after that, the preparations for that journey started to take place. Because it was wartime the schools were open in |August 1940. I remember my mother taking me over to the school, just across the road to tell my teacher the reason I wouldn't be coming back to school. My mother asked the teacher to keep the reason for my absence a secret. Since the start of the war my mother had one brother who had survived the sinking of HMS Courageous, the first aircraft carrier to be lost during the war, and another brother who had been rescued at Dunkirk, so it wasn't exactly a bed of roses for your average family in those days. So when the time came for me to leave, my Mum and Dad took me to a school in Garnethill to register and say goodbye. We walked down to Charing Cross where i boarded a bus and was taken to a School in Keppochill Road in the Springburn area. We stayed one night there in the basement. During our stay we looked out the window at the local children playing in the street. When they asked us what were we doing in their school, we repied "We are going to Canada". So much for secrecy! 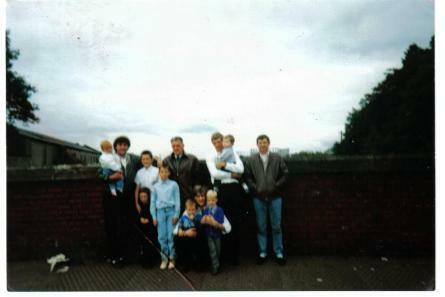 The next day we were whisked away by bus and taken to Greenock. On the *10th of August 1940 we set sail for Canada on board the Duchess of York. A luxury liner that was built by John Browns, Clydebank for the Canadian Pacific Railway Company. Out in the Atlantic we were joined by other vessels to form a convoy. There were *256 boys on our boat and *238 girls. Our convoy was escorted by naval vessels. Up until recently I thought our convoy had arrived in Canada unscathed. However, relatively recently and indirectly because of Billy Connelly (I am not making this up!) I have discovered that at least one boat in our convoy had been sunk by enemy action. We arrived in Halifax, Nova Scotia on *21 August 1940. I can sense sighs of relief. Before signing off, I will expalin what all the * are about and where Billy Connelly fits in. I was watching a TV programme abot Billy's travels across Canada. He went to Pier 21 in Halifax Nova Scotia and was told that anybody who came by boat to Eastern canada would have their name registered with them. So I contacted them, only to be told that I wouldn't be listed becuase no recorde were kept for security reason during the war. However, they told me I was listed in a book, THE ABSURD AND THE BRAVE written by an evacuee, by the name of Michael Fethney. This is a wonderful account of the evacuation of children from Britain to overseas destinations during World War II. So all the * you see in my story came form this wonderful book. Hope I haven't bored too many of you and I hope I haven't made too many spelling errors. Give us more, Danny. Lots more. No, not bored Danny and looking forward to further instalments. Who cares about the spelling Danny tell us more! Fabulous Danny. Can't wait for the next chapter. My grandfather probably built the ship you were on. He worked at John Browns and built the Queens Mary and Elizabeth. Going by the stories he told me when I was a kid, I know that he built all the Clyde ships single handed!!! Like others above, I look forward to hearing more ! Very interesting Danny, I await next Chapter. My late brother Jack was in the Royal Navy during the war. He was in Halifax, Nova Scotia, was a minesweeper.